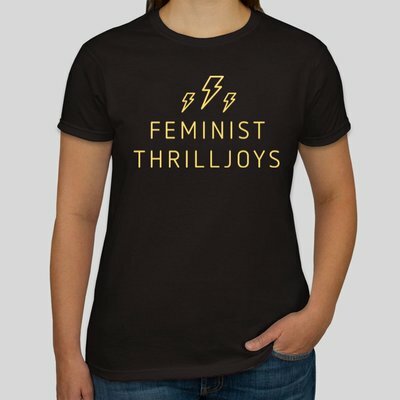 Feminist Thrilljoys: New Merch Alert: Gold Foil Shirts & Enamel Pins! First up are some AMAZING Gold Foil shirts of our logo designed by the super rad @ScaryKrystal. Krystal designed these shirts in honor of our 1 year anniversary and are only available through pre-order. We will be taking pre-orders through Jan. 31 only. Don't miss out on the chance to get yours! 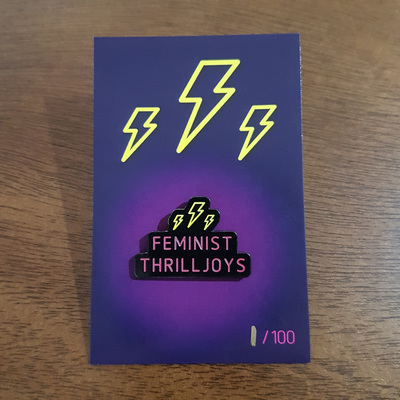 Next up are some Feminist Thrilljoys Enamel Pins. These pins are $10 and are available to be shipped out now. They are limited edition, as we only have 100 pins, and do not require pre-order. 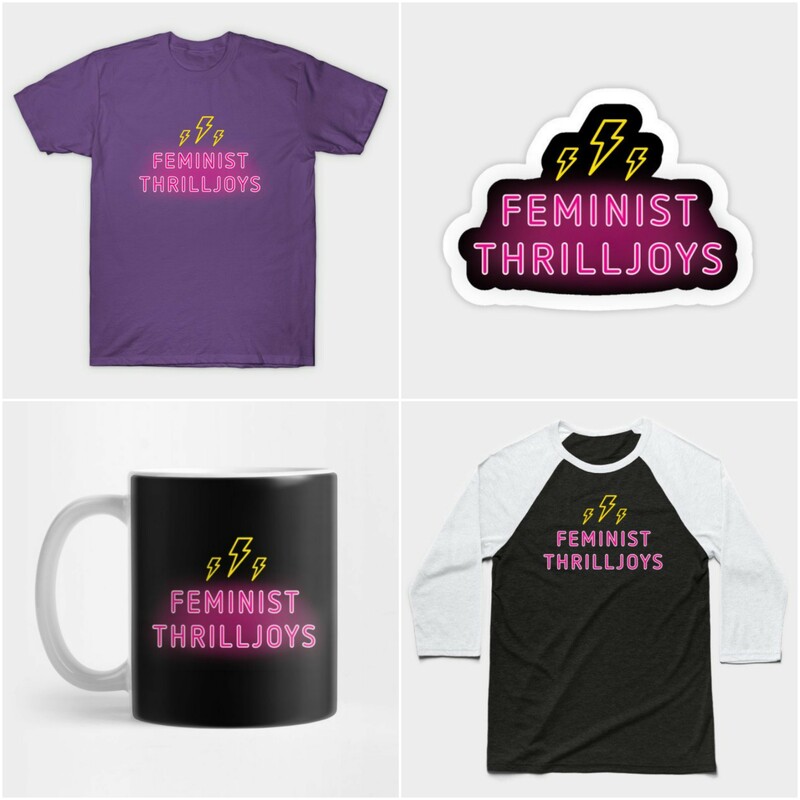 This new merchandise is in addition to the great merch we already have available at our TeePublic store.